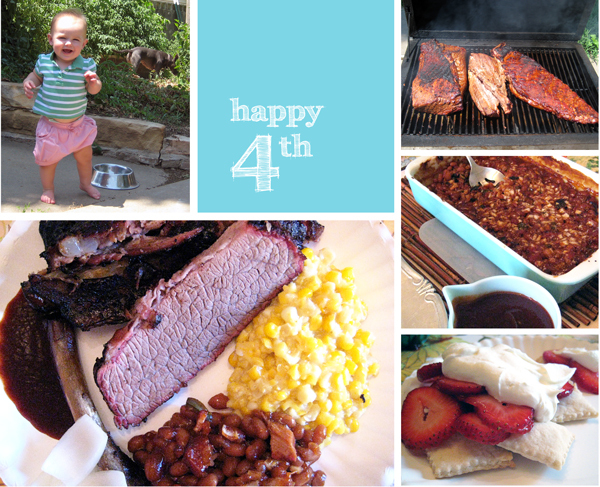 Here are some of the things we cooked up this fourth of July weekend. The husband smoked some serious meats on the grill, I made creamy corn and baked beans and my dad brought over his gajillion-layered pie dough with fresh, sliced strawberries and whipped cream to go on top. It was ah-mazing. 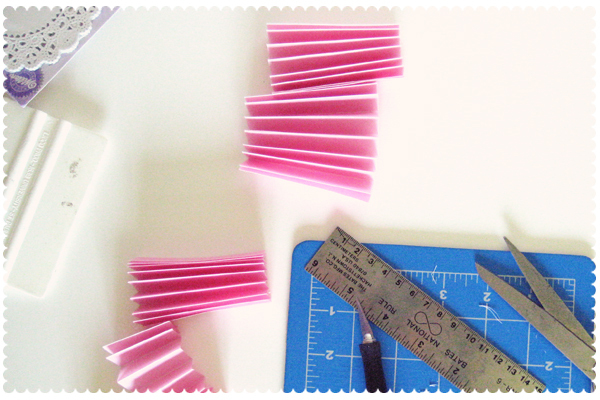 I also continued my craft streak this weekend in preparation for P's party. 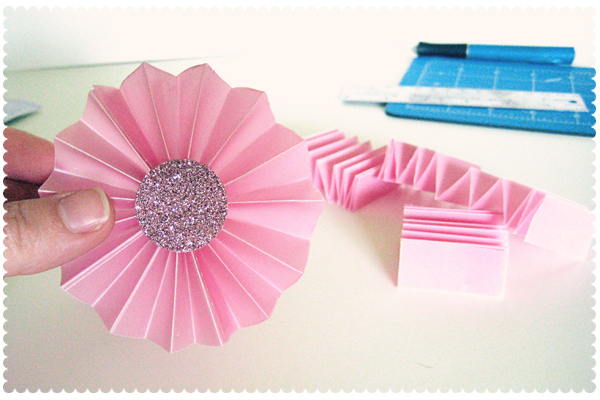 With some folded doilies, and ta-da, the starts to what may be a funky little garland. Hope you are enjoying a safe and happy day with friends and family. I had brisket, corn, and beans this weekend too! YUM! 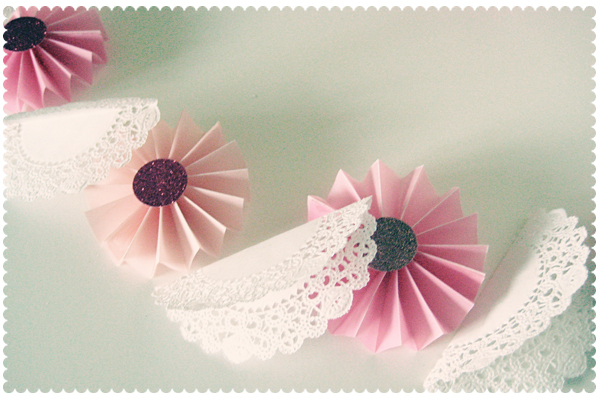 and I love the little crafty garland. P's party is going to be soooo cute!! !